Use this $1.00/1 printable coupon (PDF coupon meaning you can print multiple times!) to get FREE Sticky notes this week! 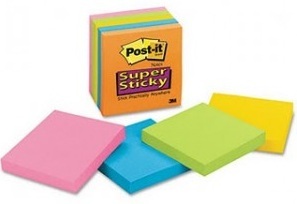 Post-It Sticky notes are reported to be on sale for $1.00 at Target, Kmart and Wal-mart this week.